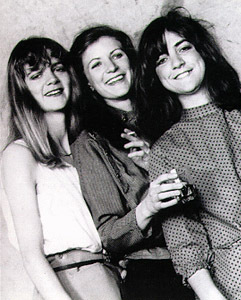 The Raincoats are so rad because they wrote really crazy, weird music and had such great chemistry and talent. They formed in 1978 and put out their first (self titled) albulm in 1979 and it is amazing! They were making music like no one else and they totally challenged the ideas people had about women in rock. They were emotional and loud. They sang about the experience of being women, in relationships, in the world etc. They were rockers and they were pioneers. The Raincoats influenced many modern musicans like Kim Gordon and Kurt Cobain. They put out two albulms after their first and broke up in 1984. BUT they got back together in 1993.